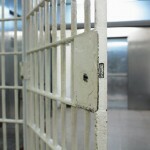 Inmates in our prisons have lost their freedom. They are behind bars because they have broken the law and their time in jail is a consequence of just law enforcement through our court system. Without justice all societies degenerate into lawless chaos. Almost everyone has some natural understanding of justice and understands that some actions are definitely right and others are certainly wrong. This is true even in a world where many people deny that there is such a thing as absolute truth or universal morality. The coldblooded taking of so many lives recently by bomber/gunman Anders Behring Breivik was understandably met with universal disgust. This man broke a moral principle more fundamental than the Norweigian law. All moral laws have their foundation in God, who is the ultimate moral law-maker. In the Old Testament we read of how Israel repeatedly broke His law and they suffered the consequences of being held captive by a foreign nation. It was then that God brought His people hope through the prophet Isaiah who spoke of a special servant. This Person would come to “bring good news to the afflicted, bind up the brokenhearted and proclaim freedom for the captives”. Over 500 years later, Jesus stood up in the synagogue in Nazareth and read these same words. The people in his village didn’t believe that this local carpenter’s son could possibly bring liberty from their oppression under the foreign rule of the Romans. They didn’t understand the nature of their own true loss of freedom. The deeper problem they had was that they were held captive to their own rebellion against God. They were all breakers of God’s perfect law. You and I are like the people of Nazareth. Naturally we are just the same as all people everywhere on this planet. Naturally we are all held captive to our own rebellion against our Maker. 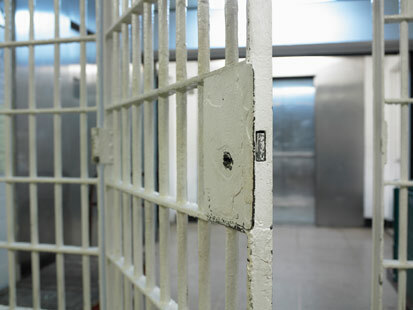 You don’t have to be behind bars to be a breaker of God’s law. The good news is that Jesus Christ provided the way for law breakers, people like you and me, to be released from eternal captivity. He did this by paying the penalty for our rebellion against God. He didn’t spend time in prison, He died on a cross. Then He rose from the dead. Some people only come to understand the reality of their true captivity when they are physically behind bars. Ken Gartner, a New Zealand Maori, is one such person. Whilst he was an inmate, he came to understand the freedom that only Christ Jesus can bring to a captive. He stopped desiring to offend God and became a follower of Christ. He was truly released from imprisonment. Ken is due to speak at the Reformed Church of Hastings, 1234 Howard Street, on Tuesday August 16th at 7:30p.m. Everyone is most welcome to come and hear him talk and sing about his time behind bars and his release into the true freedom that only Christ can bring. About 3000 years ago an ex-shepherd boy became a great king. In Psalm 40, this great king makes a promise to be ruled by someone far greater than himself: God. He promises to obey God’s law, which was written down in the scroll of the Old Testament scriptures. David committed to do what God wanted, not because he had to, but because it was his delight to please God. King David’s intentions were good. Sadly however, he did not deliver on his desire to obey God. Later in his reign this king took another man’s wife for his own and then had her husband killed as he tried to cover his treacherous tracks. In general, King David was a good king, but he couldn’t do what God wanted him to do all the time; anymore than you or I can. About 2000 years ago a carpenter’s adopted son became the greatest of all Kings. Jesus Christ came into this world in a unique supernatural event. He was born to a virgin woman but had no human father. God, in the person of the Son, became man, without ever ceasing to be God. 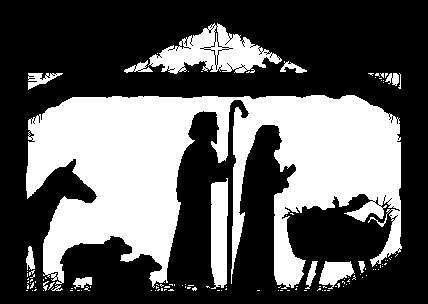 We remember the coming of God’s Only Son at Christmas time. Born, as previously predicted, in king David’s birthplace; Bethlehem. Born to live in perfect obedience to the will of God His Father amidst a life of temptation, suffering and trouble. Born to be a greater king than his human ancestor David. Born to die a truly innocent man. The Christ of Christmas is the Christ of Easter. The good news of great joy that the angel announced at the birth of Jesus was not that another flawed king like David had arrived, but that a perfect King, a Saviour, had come into the world. The good news is that God promises to save from death everyone who believes in His Son Jesus Christ. To believe in Christ is to turn to God and seek his forgiveness for not doing His will and to firmly trust that Jesus Christ has fully paid the price for all that you have done against God’s perfect law. If you are such a person this Christmas, give glory to God in the highest. If you are not, seek the Christ of Christmas today! If you ask most people the question: “How old is the earth?”, they will most likely reply “billions of years”. However, this idea is a relatively new one. Until a few hundred years ago, the earth was thought to be thousands, not billions of years old. In the late 18th century, geologist James Hutton wrote that the history of our globe must be explained by what can be seen to be happening now. His starting point was that “no powers are to be employed that are not natural to the globe”. Following Hutton, scientists like William Thomson (Lord Kelvin) calculated the age of the earth to be many millions of years. The development of radiometric dating methods (e.g. carbon-14, potassium-argon) later pushed the estimated age of the earth out to about 4.5 billion years. So doesn’t that prove that the earth is old? No, not necessarily. There are some major problems with radiometric dating; an analysis technique based on the physical process whereby a ‘parent’ isotope decays to form a ‘daughter’ element. A number of untestable assumptions are made to date rocks (e.g. a constant rate of decay, an isolated system in which no parent or daughter element can be added or lost, and a known amount of the daughter element present initially). By adjusting these assumptions, radiometric dating may be used to simulate ‘proof’ for a wide range of ages. There is an old idea that the earth is actually relatively young; probably less than 10,000 years. Before dismissing this notion as utterly ridiculous (along with a flat earth, or flying unicorns), pause for a moment to consider the sense in this theory. Current earth processes and rock formations can be accurately and reasonably explained by a young earth which underwent a global cataclysmic flooding. This major tectonic and climatic event would account for a radical change in the structure of all land masses and ocean basins and in the composition of the atmosphere. 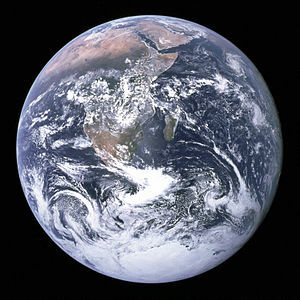 The biggest problem many scientists have with the young-earth theory is not that it doesn’t explain what we observe today, but that it simply doesn’t give enough time. Time for billions of years of chance evolution to produce men and women from microbes. The theory of evolution and the theory of a young earth cannot both be true. Wouldn’t it be helpful in deciding between these two ideas if we could hear from a person who was actually there when the earth was first formed? Well, we can. His name is God and He has written down in the Bible exactly what happened at the beginning.